What’s more annoying than a broken garage door? Can’t get your car inside, or is it stuck outside? Besides protecting your car, your garage probably is home is extra storage. If your broken garage door is getting in your way, Taylor Door Co. can help you! Garage door repair Royal Oak is a service that Taylor Door is a pro at! Taylor Door has more than 30 years of experience as members of the International Door Association. Taylor Door’s repair services are done fast and right, so most repairs are done in one day. Taylor Door only uses the best products for your garage door repair Royal Oak, so you can experience years of a reliable garage door after just one day with Taylor Door! Plus Taylor Door makes sure that you never pay more than $300 for your garage door repair Royal Oak! Complete your fixed garage door with a garage door opener! Or if you’re thinking of replacing your broken garage door, check out Taylor Door’s collection of garage doors. 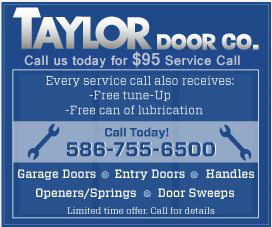 Have Taylor Door Co. Repair Your Garage Door in Royal Oak Today! Call before 11 a.m. and get your garage door repair Royal Oak the same day by Taylor Door Co.! Be sure to request a free quote before you get any work done! Taylor Door is Metro Detroit’s No. 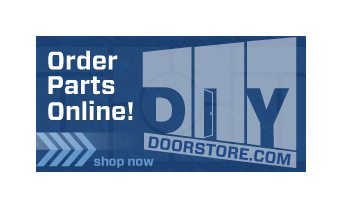 1 store for anything doors, so trust the pros to fix your garage door in Royal Oak! Call 1-800-NEW-DOORS today!